In many action-adventure, science fiction or disaster movies, a lone hero steps up front and center to vanquish the villains, rescue those in harm’s way or just outright save civilization from impending doom. Even when the story requires science, engineering, medical or technological solutions to fend off looming catastrophe, it’s often a single genius who emerges to crack the code, devise the formula or make the machine that averts tragedy. In real life, of course, it never happens that way. The film portrays the story of the squad of amateur hockey players that in the 1980 Olympics pulled off the so-called “Miracle on Ice” by defeating the world-dominant Russian team and going on to win the Gold Medal. Cooke points to the movie’s focus on the coach and the intense training he inflicted on players to test their physical and mental willpower — all done with the goal of building camaraderie and a shared sense of high purpose. The lesson: Victory over the indomitable foe wasn’t the result of raw, spontaneous, emotion-fueled heroics. It was more about calculated, committed teamwork. Cooke says the increasing complexity of the technological solutions that scientists and engineers are chasing today is making it clear that progress demands not only the most talented researchers but also those with the best teamwork skills. That realization prompted the National Science Foundation to ask the National Academies of Science, Engineering and Medicine to assemble a group of experts to seek ways to improve the effectiveness of research teams. The 13-member Committee on the Science of Team Science was led by Cooke, a psychologist and chair of the Fulton Schools of Engineering human systems engineering program. 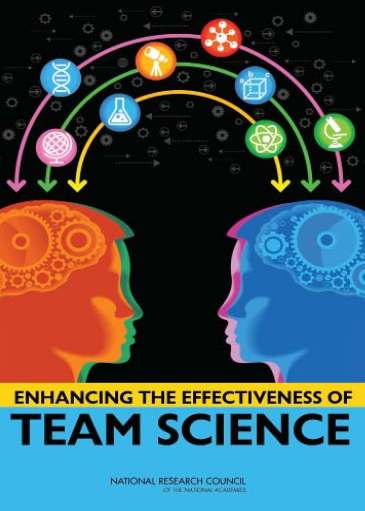 The committee’s report, “Enhancing the Effectiveness of Team Science,” completed in 2015 emphasizes that successful science and engineering collaborations hinge not just on a high level of research expertise but also on organization, planning, management and communications skills — and on leadership that can instill a shared vision of the significance of the project goal. Beyond that, the report describes some of the major pitfalls that keep collaborative projects from meeting those requirements and makes recommendations on how to overcome such hurdles. “Role clarity is a big issue. There must be clear understanding about who is responsible and accountable for what,” says Cooke, whose research interests include interactive team cognition and team dynamics. Problems can arise when team members are geographically dispersed, come from different cultures and work in different disciplines that don’t always speak in the same technical parlance. “People in a particular field may use technical language in a way that means one thing to them but something different to experts in other areas,” Cooke says. Missteps are particularly prone to happen when a project involves a “virtual team,” one that communicates remotely, mostly – and often only – by e-mail, conference calls, or video-conferencing. Despite the convenience and other advantages of modern communication technologies, there is a bit of a cognitive disconnect when people engage remotely. In their National Academies committee report, Cooke and her colleagues say public agencies and private organizations funding research should consider more than the capabilities of the engineers and scientists involved. Funders should give equal attention to researchers’ strategies for collaboration throughout the entire time period that grants are supporting the projects. More than that, the committee advises funders to provide support for researchers to learn the leadership, communication and management skills necessary to doing productive team science. For team chemistry to develop, Cooke advises research leaders to look at the collaboration as a kind of marriage. “You need a sort of dating period first,” she says, for team members to test their compatibility, and focus on how to initiate and manage their interactions, share knowledge and maintain communications. And then comes the “prenuptial” agreement, in which all parties map out a game plan for long-term collaboration throughout the course of a project, she adds. Relationship building is the foundation of successful collaborative research, says Nadya Bliss, director of ASU’s Global Security Initiative and a professor of practice in the Fulton Schools of Engineering computer science program. Before coming to ASU, Bliss spent a decade at the Massachusetts Institute of Technology (MIT) Lincoln Laboratory, a Department of Defense Research and Development Laboratory operation that puts advanced technologies to work in support of national security goals. 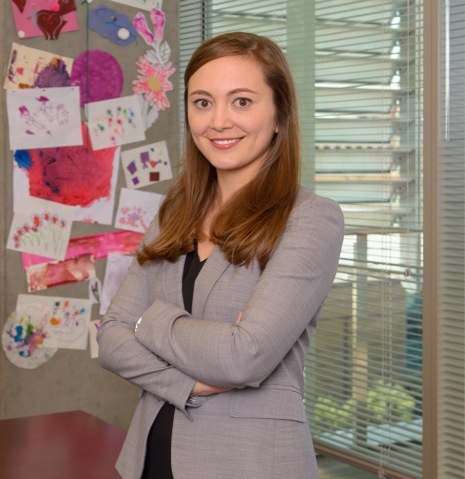 Nadya Bliss, director of ASU’s Global Security Initiative, has had years of experience overseeing research efforts that involve teams of experts in diverse fields within and outside of engineering and science. In her most recent position there, she was the leader of the Computing and Analytics Group. In that role she provided technical leadership, personnel management and program development for a group of about 35 physicists, mathematicians, electrical engineers and experts in data analysis and information technology. With the Global Security Initiative, she has been in charge of developing and leading ASU’s security-related research. 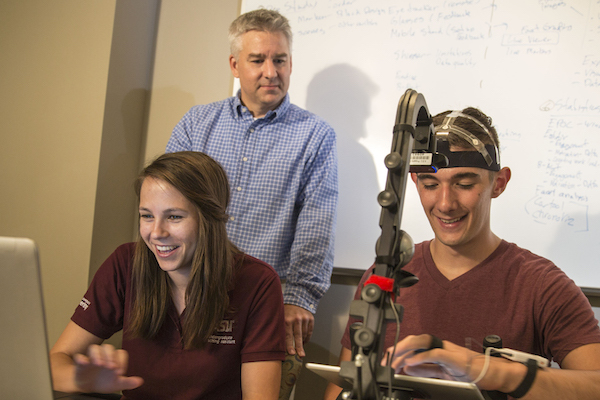 The institute’s activity at present involves about 15 core team members helped by contributions from an overall roster of close to 100 faculty researchers from at least a dozen schools and colleges within ASU. The initiative’s focus spans across the challenges of cyber security, climate security, pandemics and diseases, the impact of urbanization on global security, threats to vital resources, threats posed by ideological conflicts and more. It is work that requires combining the efforts of experts in multiple branches of science and engineering, as well as sociology, political science, business, law, ethics, public policy and education. First, you have to recognize that an authoritarian style of leadership won’t work. Beyond a shared grand vision to create a bond between researchers, project leaders must foster a positive relational environment among team members. Even when researchers are in the same or closely related fields, good communication and strong working relationships are crucial to fully achieving project goals, says Marc Mignolet, a professor of mechanical and aerospace engineering in the Fulton Schools. He has decades of experiences in collaborative research and is now involved into two separate multi-year Air Force-funded projects in his primary area of expertise — the structural dynamics of aircraft. A project recently funded by one of the highly sought after Multi-University Research Initiative (MURI) grants pairs him with scientists and engineers at MIT, Texas A&M University, the University of Michigan and the Santa Fe Institute research center. 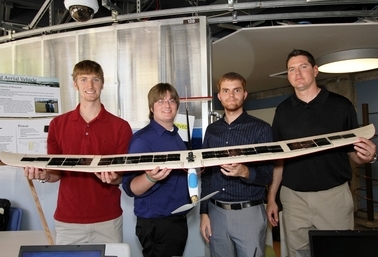 A second, older group project is led by the Collaborative Center in Structural Sciences at Ohio State University, with other team members at Johns Hopkins University and the University of Illinois at Urbana-Champaign, in addition to ASU. He agrees with Cooke that meticulous communication and collaboration plans should be among preliminary steps for initiating complex research projects that will involve large teams. “Even when people share a common goal, the result will not be as good as it could be if they do not have the desire and ability to work closely together,” he says. 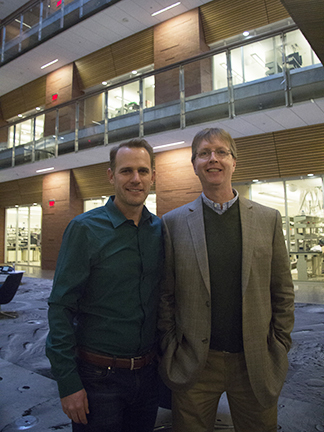 Members of Collaborative Center in Structural Sciences team had the advantage of having known each other and worked together before. Atkinson is on the faculty of the Fulton School of Engineering and ASU’s Mary Lou Fulton Teachers College. 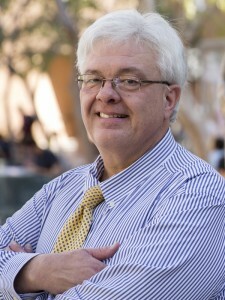 His expertise stretches across the fields of cognitive science, computer science, informatics, human-computer interaction and educational technology. 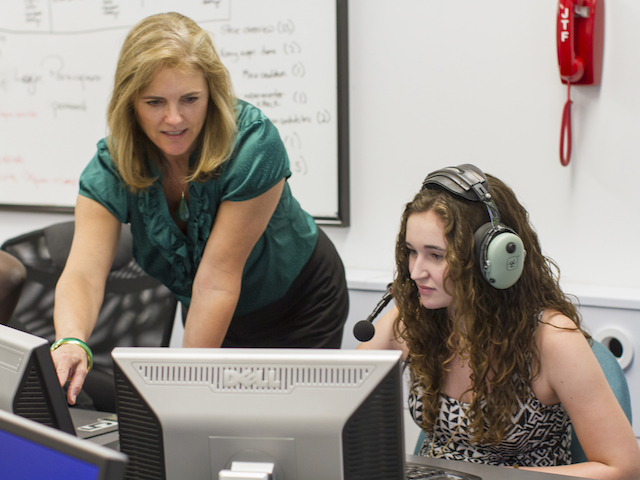 He leads labs that focus on developing more effective methods of teaching and learning. His faculty research partners and the graduate students working in his labs are in multiple fields — industrial engineering, social sciences, education, computer software development and learning technologies, among others. The big questions troubling today’s world “just cannot be answered by relying solely on experts in any one discipline looking at things from the same point of view,” he says. Research in his field could yield better methods for productive collaboration. Atkinson says studies aimed at deeper understanding of humans’ “cognitive architecture” and “neural synchrony” indicates ways of “optimizing levels of engagement” and “getting people on the same wavelength” in collaborative endeavors. Researchers and the government agencies, foundations and other institutions that fund them are becoming more acutely aware of the need for successful team science efforts. In fact, the term “collaboratory” is becoming a more widely used term in the research community to describe — and emphasize — the cooperative nature of projects intended to meld the talents of people in diverse fields of expertise. A Science of Team Science Conference May 16-19 in Phoenix will bring institutional research leaders, policy makers, representatives of federal agencies and research funding organizations together to will explore issues and challenges involved in multidisciplinary research. It’s critical for the global science community and the public to grasp the importance of fixing the things that are hindering team research, Cooke says. When projects come up short of expectations or fail, “it’s a big concern because it wastes the valuable time and efforts of our best minds, and wastes our research funding,” she says. Not to mention undermining opportunities to produce miracles in the lab that might help save the world — just like in the movies.